WHEN a truck breaks down, mobile mechanics are a godsend. 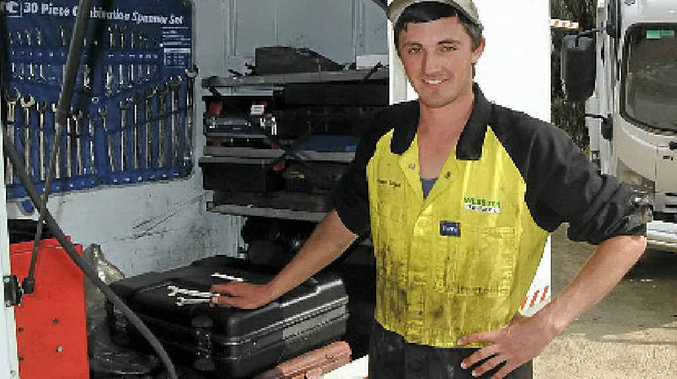 One such mechanic is 21-year-old Joseph Snape, who we saw repairing a truck at the Huon Valley region of Tasmania. Joseph works for Webster Trucks and was repairing an Isuzu Tipper at Duggan's Pty Ltd quarry. "It has lost all power and I think I know what the problem is," he told Big Rigs in early January. A fourth-year apprentice truck mechanic, Joseph said he was going to make a career out of it. "I do a good variety of works and this is a nice part of Australia. I meet many good people in the industry," he said. Joseph was looking forward to completing his apprenticeship.